Stokes Arts is looking for the next generation of actors and actresses for the theatre stage. If you know a child from the ages of 6 - 18 interested in acting, Theatre Classes for Kids begins Tuesday, October 27 at King Recreation Acres Building, 107 White Road in King. 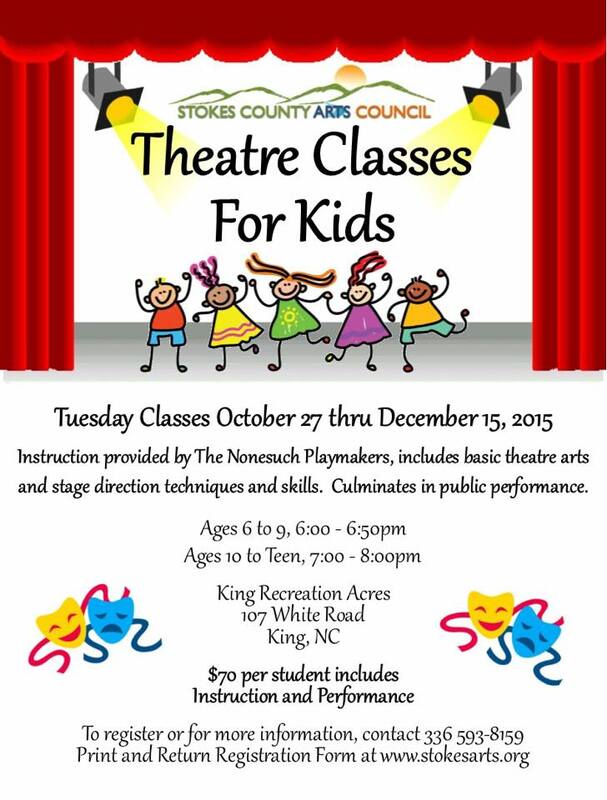 Call 336 593-8159 or visit www.stokesarts.org for more information or to register.